JAMES COMEY’S big day – the testimony of former FBI director – has been much discussed, debated and dissected. 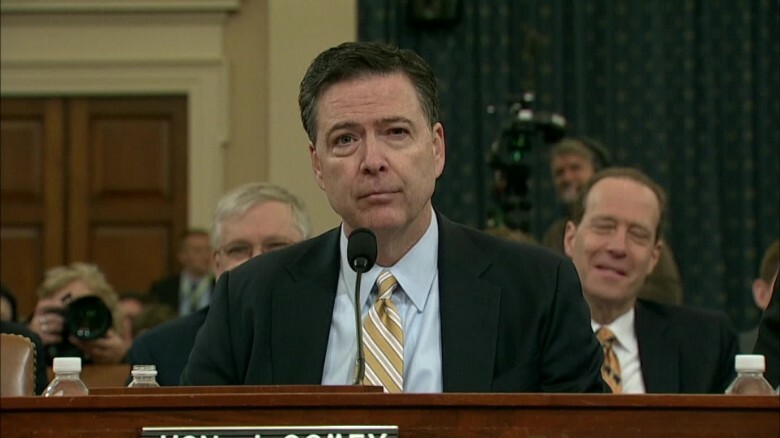 Comey’s testimony before the Senate intelligence committee was seen by many millions. His appearance was the political TV event of 2017 – so far. Among the lowlights: the administration of President Donald Trump “lied” about Comey and the Federal Bureau of Investigation. Trump “defamed” Comey when he claimed that the FBI had lost confidence in their former director. There was a “massive” effort by Russia to intervene in the 2016 U.S. election and elect Trump. And this bombshell in answer to a witless Republican’s foolish question about whether Trump “colluded with Russia” – Comey paused and then replied that he couldn’t answer the question “in open session.” Incredible. To any fair-minded observer, however, the biggest news was this: Trump plainly obstructed justice when he asked Comey to “let go” of the FBI’s criminal investigation into his close friend and adviser, Michael Flynn. He broke the law. Trump corruptly tried to influence, obstruct or impede justice in the Flynn case. That’s Comey’s sworn testimony. That’s obstruction. That’s an impeachable offence. As such, Trump’s corrupt, chaotic, cruel presidency will end, soon enough, in impeachment or resignation. Trump will not reach the end of his term. He will be gone, likely saved from prison only because his supplicant, Vice-President Mike Pence, will pardon him. Trump, in a few short weeks, has metastasized into a cancer on the institution of the presidency. He has single-handedly shredded the reputation of the United States around the globe. It will take many years to wipe away the mud. But there is one shining bit of light in the midst of the muck that was last Thursday’s Senate hearing. And that was the fact of the hearing itself – and that democracy, sometimes, works. Notable congressional hearings, over the years, show that to be true. The Watergate hearings, which exposed a corrupt Republican president and forced his resignation. Former acting attorney general Sally Yates, testifying before the Senate judiciary committee about how the Russian regime had compromised the most senior members of Trump’s administration. Lt. Col. Oliver North’s 1987 Iran-Contra testimony, confirming that the White House of Ronald Reagan secretly and illegally supplied arms to Iran. The Supreme Court confirmation hearings of alleged sexual predator Clarence Thomas, featuring the testimony of one of his alleged victims, lawyer Anita Hill. Canada has had such hearings, as well. Democracy has mostly benefited from them, too. Pierre Trudeau’s extraordinary appearance before a House-Senate committee hearing on the Meech Lake Accord, which ultimately sank the ill-conceived accord. The assorted inquiries into the repatriation of our Constitution, and the creation of our Charter of Rights and Freedoms. And, of course, the day-to-day work of less-newsworthy House and Senate committees. All improve Canadian democracy. These committee don’t always work, of course. I can testify to the fact that the various sponsorship program inquiries – whose terms of reference were rigged by former prime minister Paul Martin’s administration to prevent scrutiny of their spending on polling – were an unmitigated farce. The Martin regime actively stonewalled attempts by me and others to offer testimony about that regime’s spending with certain polling firms. But that’s an exception. For the most part, most of the time, these myriad committee hearings – whether they be here, in the U.S., at the level of an obscure Commons committee, or an extraordinary Senate intelligence committee prying back the lid on Trump’s corrupt administration – are good for democracy. They may make democracy look bad, in the short term. But, in the long term, they improve it, too. That, more than anything, is the indisputable truth that emerges from Comey’s big day. 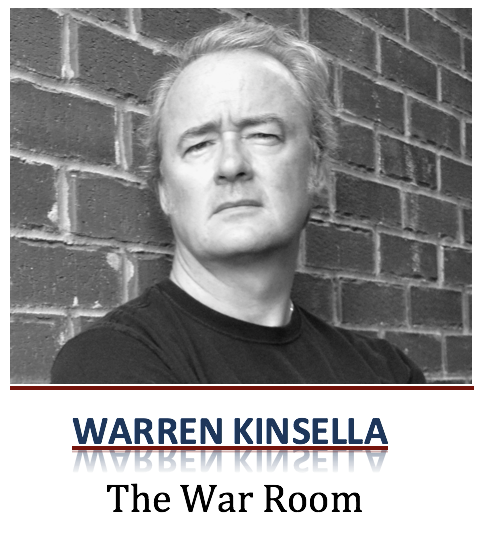 Warren Kinsella is a Canadian journalist, political adviser and commentator.